The department Seine-et-Marne is the largest, greenest and, at the same time, the least dense in population in the region surrounding Paris. It offers a particularly interesting perspective for living close to the capital. A land of farming and cultivation, forests and rivers, villages and new towns, Seine-et-Marne has maintained a subtle balance between its rural and urban areas. A major asset for both its traditional and more modern homes. With its old 'briarde' homes and charming estates, farm houses, bourgeois homes, villas and subdivisions, luxury residences and modern apartments, Seine-et-Marne offers a quality of life that fits all tastes and budgets. Prices here are still a long way from the top prices of Paris and neighboring suburbs. Housing markets and prices vary from one area to another, mainly based on their proximity to the capital and accessible transport such as the RER, national train and the highway systems. By finding you the perfect home as your buyer agent, I will help you discover how to make the most of the countryside while benefiting from the city and its modern infrastructures. An agricultural area, Seine-et-Marne nonetheless welcomes commerce in both logistics and services. In addition, it is one of the leading areas in France for the creation of jobs and one of those with the lowest public assistance in the Ile de France. The roadway and railway systems have engendered an economic oasis much like Marne-La-Vallée, Sénart et Roissy, where there is a concentration of universities, research centres, intellectual hubs and growing areas of employment attracting an influx of new residents. There are three TGV railway stations, four RER lines (A, B, D and E) and the Transilian SNCF (national railway) lines, and more than 330 kilometers of highway (A4, A5, A6 and the Francilienne) that make even the most remote areas of the region easily accessible. As for shopping, Seine-et-Marne contains some of the biggest shopping malls in the Paris area, such as the Val d'Europe, Bay2, Carré Sénart and Villiers en Bière. Seine-et-Marne profits from wide demographic expansion. With the integration of Marne-la-Vallée on one hand and Sénart on the other, the department is home to some of the greatest natural reserves in the Ile de France. The department is considered the greenbelt of the Ile de France. Its largest wooded area, the la Forêt de Fontainebleau, classed a protected "nature reserve" by UNESCO, offers a wide variety of recreational and leisure activities within its 300 km of paths and spectacular rock formations. The other state forests in the department, Crécy-La-Chapelle, Ferrières, Sénart, Armainvilliers and Ermenonville, offer an ideal environment for nature lovers, hikers, horseback riders and off-road bikers. The Parc Naturel du Gâtinais Français, in the southern part of the department, is a shrine of verdure loved by poets and impressionist painters as well as anglers and ramblers. In the north, the rivers Petit Morin, Grand Morin, Ourcq, Thérouanne and Aubetin flow into the Marne. In the south, the rivers Yonne, Loing, Lunain, Ecole and Yerres are the main tributaries of the Seine. Two canals, the canal de l'Ourcq, from east to west, and the Canal du Loing, from north to south, are ideal for pleasure boating. Bois-Le-Roi, Buthiers, La Grande Paroisse, Jablines, Saint-Rémy-de-la-Vanne, Souppes-sur-Loing, Torcy, Vaires-sur-Marne, Varennes sur Seine. One naturally thinks first of Disneyland Resort® Paris, the largest tourist attraction in Europe. It provides pleasure for young and old from all over the world. Brie Comte Robert - the medieval city invites an historic journey through beautiful and ancient stones. The department is populated as much by young couples, families with children and professionals as by seniors wanting to move to a quieter environment where they can enjoy life in the countryside and still be less than an hour from Paris. It is rich in open space where approximately 60% of residential real estate is made up single family homes, compared with only 30% in the entire Parisian area. If you are looking for investment property, there are currently some excellent properties thanks to the developing rental investment market. There are several different markets in the five wards in the department: Meaux, Torcy, Melun, Fontainebleau and Provins. The city of Meaux. 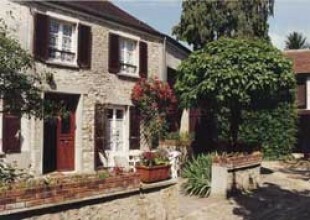 Barely 45 kilometers from Paris, is quiet a popular area because of its accessibility, approximately 30 minutes from Paris via public transport. This makes it a viable alternative to the urban sectors bordering Marne-la-Vallée. The most sought after residential areas are le vieux Meaux, with the town center, and the Place du Marché on one hand and more modern areas such as Beauval and Pierre Collinet on the other. The Faubourg Saint Nicolas is a particularly up-and-coming area. Marne-La-Vallée so attractive is its number and quality of facilities so rarely found in cities of this size. Large green areas, parks and forests, shopping malls (Bay2 and Val d'Europe), nine RER stations, a TGV station at Disneyland Paris, and the proximity of Charles-de-Gaulle airport and its access to the A4 motorway. Consider, for example, Bussy-Saint-Georges and Magny-le-Hongre. Verdant areas with streams, woods, a 40 hectare park in the city center, chateaus, old briard farmhouses as well as intelligent urbanization, including daycare facilities and schools. Other communities in the sector, such as Chelles, the second largest town in Seine-et-Marne, and Pontault-Combault, with its small squares and beautiful old homes, captivate more and more young people with their affordable prices and easy access to public transport. National train lines, RER and motorways that make the town center only a 20 minute commute from the heart of Paris. Parisians and residents of the Val-de-Marne are taking advantage of the opportunities to buy larger homes for equivalent prices with the same commuting time and a superior quality of life. With its beautiful town center, historical architecture, 80 hectares of greenbelts and nearly 100 cultural events each year, Melun is asserting itself as a truly livable city at the gates of the Parisian region. Real estate in Melun is diverse. It offers millstone houses and villas dating from the 1930's as well as smaller modern residences. The south side of the city is still the most sought after because of its two quarters, one close to the train station and one in the old town area. Bords de Seine and the Ile Saint Etienne offer luxury housing. Those who wish to live outside the town often choose one of the surrounding communities such as Cesson, Vert-Saint-Denis, Dammarie-les-Lys or La Rochette. The new town of Sénart, 30 kilometers to the southeast of Paris, is divided into ten communities, Cesson, Combs-la-Ville, Lieusaint, Moissy-Cramayel, Nandy, Réau, Savigny-le-Temple and Vert-Saint-Denis in Seine-et-Marne and Saint-Pierre-du-Perray and Tigery in the department of Essonne. Surrounded by the Forests of Sénart and Rougeau, Sénart is ideal for young families. Most of its dwellings are spacious single family homes built in keeping with the architecture of the area and supported by numerous new home financing programmes. The railway station Gare de Lyon is less than 30 minutes away by RER D, the A 5 and A6 motorways and the Francilienne suburban train line, as is the Carré Sénart shopping mall. Mostly a residential area, the royal town of Fontainebleau offers an exceptional lifestyle in the surroundings of its cultural heritage. The most popular residential areas are largely those in the center of the town in the northern quarters and near the boulevards Foch and Joffre (Le Notre and Le Primatice streets). Homes here are either large, spacious homes dating back to the turn of the last century with large gardens, apartments built in the 18th and 19th centuries, and luxurious town homes. There is also a sizable rental market here due to students attending prestigious schools such as INSEAD, CEDEP, ESCI, ESIGETEL, and l'Ecole des Mines de Paris. The neighbouring communities of Avon and Samoreau offer the same amenities with lower prices. These towns attract young families looking for greenery and tranquility. Old Avon, in the area of the train station, is the most popular. Buildings from the last century or the 1960s offer comfortably-sized homes in good condition. Those looking for a home with land prefer the residential communities on the edge of the forest of Fontainebleau such as Milly-la-Foret, Barbizon, Noisy-sur-Ecole or even Bois-Le-Roi, Samois-sur-Seine and Héricy en bord de Seine. Provins, one of the most beautiful medieval villages in France, is in the countryside 80 kilometers from Paris. With more reasonable prices, this is the ideal place for first time buyers and rental investers. Atypical properties are extremely popular. There are townhouses within a 10 minute walk of the town center, 18th century 'bourgeois' homes or rural 'briarde' style homes at incredible prices that are common in new construction. The heights are the most popular area but also the most expensive. There are, as well, fewer opportunities to buy in the area. We turn then, to the valley where houses are found amongst apartment buildings and villas. The periphery from the faubourgs de l'ouest to the community of Nangis is very popular. Provins is trying to shed its image as museum town and revitalize itself. In the meantime, this historic town, like Coulommiers, Montereau-Fault-Yonne and Nemours, is still provincial in its ways and this is part of its charm. Seine et Marne awaits you ! Don't hesistate to call me. I will open the doors to Seine-et-Marne for you. As your buyer agent, I will advise you based upon your requirements and my knowledge of the local area, and will guide you all the way through the buying process using all of my savoir faire to help you find the home you're looking for.